Remove links in a twist-o-flex watchband to better fit your wrist. Adjusting a Twist-O-Flex watch band can make a better fit for wearers with smaller wrists. While manufacturers recommend having your watch serviced by a professional watch technician, the Twist-O-Flex band can be adjusted at home with a steady hand and a few simple tools. Remove links on the expansion bracelet in order to tighten the band to a more comfortable fit that doesn't simply hang off the wrist. 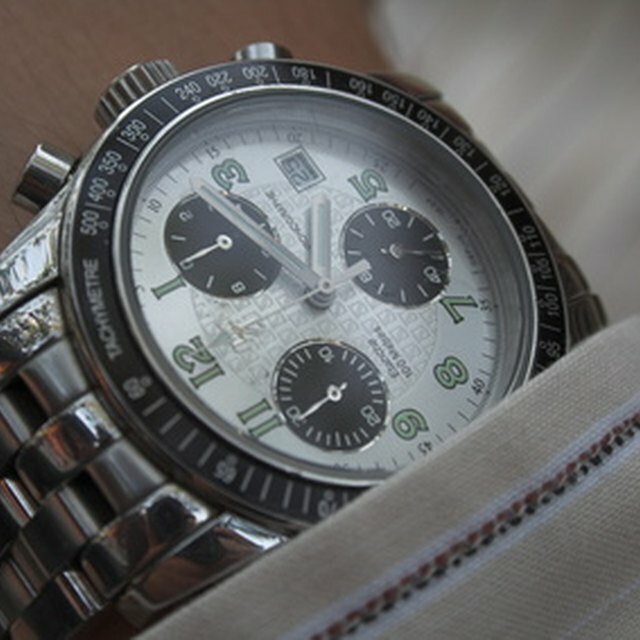 Examine the watchband while wearing it on your wrist. Determine how many links you wish to remove to create a more comfortable fit. If you remove one too many links, however, the watchband should still be able to expand to comfortably fit your wrist. Locate the midpoint of the watchband. Wrap the watchband around your finger and expand it to reveal the topshell tabs. Straighten the topshell tabs with a small flat-head screwdriver. Adjusting these tabs will loosen the topshell, so that you can expand the watchband again and drop out the topshell. Repeat step two for an additional topshell. 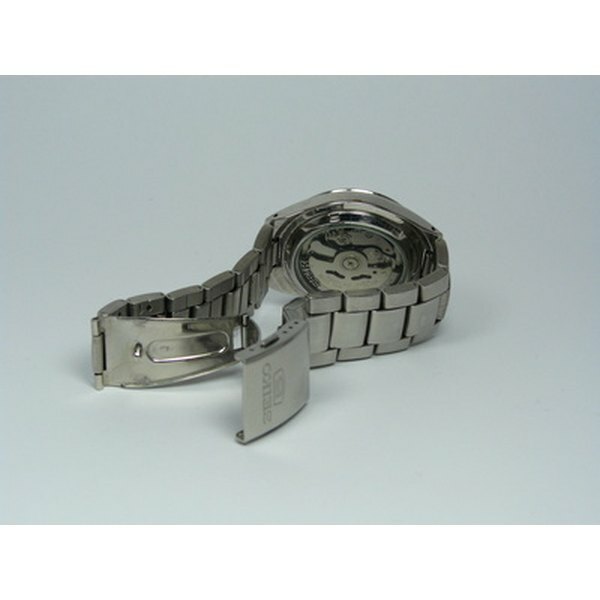 The second topshell should be separated from the first by the number of links you wish to remove from the watchband. Keep the topshells handy — you will need one of them to reassemble the watchband. Bend the end flaps on the bottom of the band below each of the exposed links (beneath both of the topshells you removed). Push gently in opposite directions on the two sides of the link section you are removing. The links should easily pop out of the chain. Set these links aside. You will not need them for the rest of the adjustment. Pick up the watch staple with a pair of needle-nose pliers. Take care not to squeeze too tightly or you will bend the staple. Insert the staple into the end of the separated band, carefully fitting the staple's legs around the springs of the watchband. Remove the loose front staple. Slide the separated ends of the watchband back into position. Use your thumbnail to slightly move the rear staple away from the adjacent link. Replace the staple removed in step five by inserting one leg of the staple above the top box spring. The lower leg fits beneath the bottom box spring. Use the pliers to gently bend the bottom end flaps back into place. The pliers can also be used to fix any topshell pieces bent during the process. Set the topshell onto the exposed top box of the watchband. While holding the topshell in place, expand the watchband and use your screwdriver to snap the topshell tabs back into their original positions. This will lock the watchband into a tighter size for your wrist. Save the old links for future repairs. Home adjustments and repairs to your watchband can void the manufacturer's warranty. Read any warranty materials before attempting to fix the watchband on your own. Anthony Bonesarelli began writing as a columnist for "The Daily Athenaeum" university publication in 2006. He now specializes in music criticism online at Garbage Days and social media consulting at a West Virginia art gallery. He graduated from West Virginia University in 2010 with a Bachelor of Arts in English.